Red October is here in Key West!! 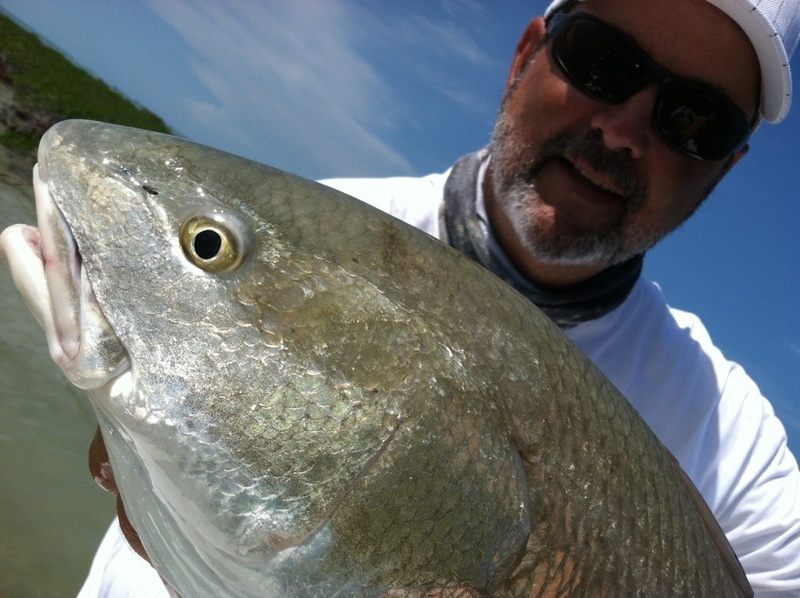 I am totally stealing this line from my buddy Capt Gregg McKee's blog post from last week on The Pine Island Angler. 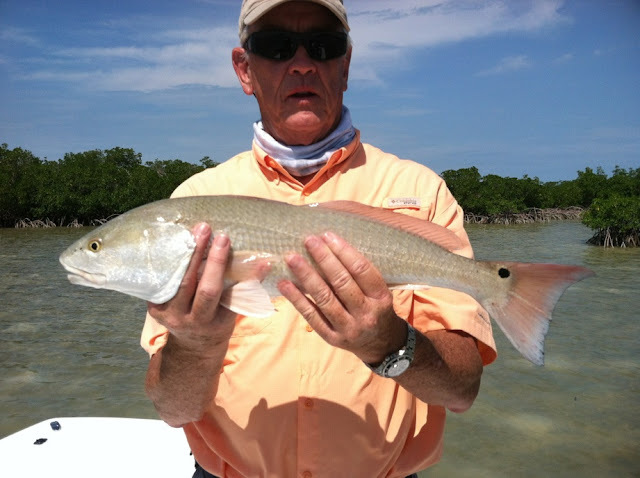 Gregg wrote about how good fishing for redfish has been this month in Matlacha, FL. Well today, after we sat out a nasty thunderstorm at the Geiger Key Marina, I took my clients to a flat that I have seen redfish on last winter. Tide was right and there was plenty of bait and sure enough there were plenty of good size redfish, including a few above slot size fish. My clients, Keith and Steve from PA caught four nice redfish pictured below and a bonefish. This is a first on my boat catching a redfish and a bonefish in the same day. Not something one would normally here about in Key West. This set up for a really cool opportunity at a true Grand Slam, but we only saw one permit that spooked and no tarpon at all. Great looking Red! I didn't realize they were in the Keys. Thought they were confined to Texas/Louisiana. Learn something everyday.